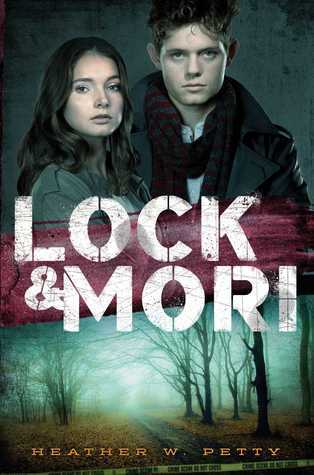 In modern-day London, two brilliant high school students, one Sherlock Holmes and a Miss James "Mori" Moriarty, meet. A murder will bring them together. The truth very well might drive them apart. Before they were mortal enemies, they were much more. FACT: Someone has been murdered in London's Regent's Park. The police have no leads. FACT: Miss James "Mori"Moriarty and Sherlock "Lock" Holmes should be hitting the books on a school night. Instead, they are out crashing a crime scene. FACT: Despite agreeing to Lock's one rule--they must share every clue with each other--Mori is keeping secrets. I started this book because I am a Sherlock Holmes fan, and I was intrigued by the premise. I finished it because it grabbed my attention from the get-go and never stopped until the end. This is a complete re-imagining of the old Holmes characters and may surprise you. Of course Sherlock and Moriarty are in there, as is Mycroft and a host of others who nod at the original stories. What surprised me was the underlying story affecting Mori, which more than explained her somewhat tetchy character. There are some real social issues handled in this one and they are handled well. I was surprised by the outcome and thoroughly enjoyed the interaction between the characters. Lock was sufficiently distracted and his methodical way of thinking made me smile. I could also feel the development of his relationship with Mori. The plot - well this is a Holmes retelling, so of course it was a bit fantastical, but that wasn't a problem for me. The story galloped along at a sustained rate and kept me guessing for quite some time. I suspect that readers are either going to love or hate this one. Holmes fans will enjoy it for sure - I loved it.